QSL cards are popular souvenirs which we send out to listeners in return for reception reports. Radio Slovakia International has maintained this free service to our listeners since our establishment in 1993. If you would like to receive a QSL card yourself, it's very easy: all you have to do is listen to one of our broadcasts and then send us a reception report. 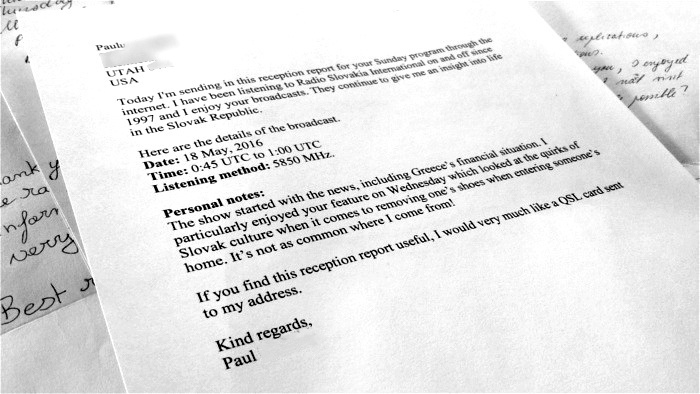 You can listen to us any way you like, and your reception report can be sent to us either electronically or physically. 1: The date and time when you heard our broadcast. 2: How you heard us (shortwave, internet, WRN etc). 3: Signal strength and signal clarity (if applicable). With this information we can determine our frequency strengths in different parts of the world and, most importantly, determine what our global audience enjoys hearing, based on their personal notes and comments. The more details, the better! So why not send us a reception report today?